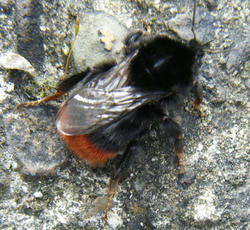 Lengths queen 20-22 mm, workers 11-16 mm, male 14-16 mm. 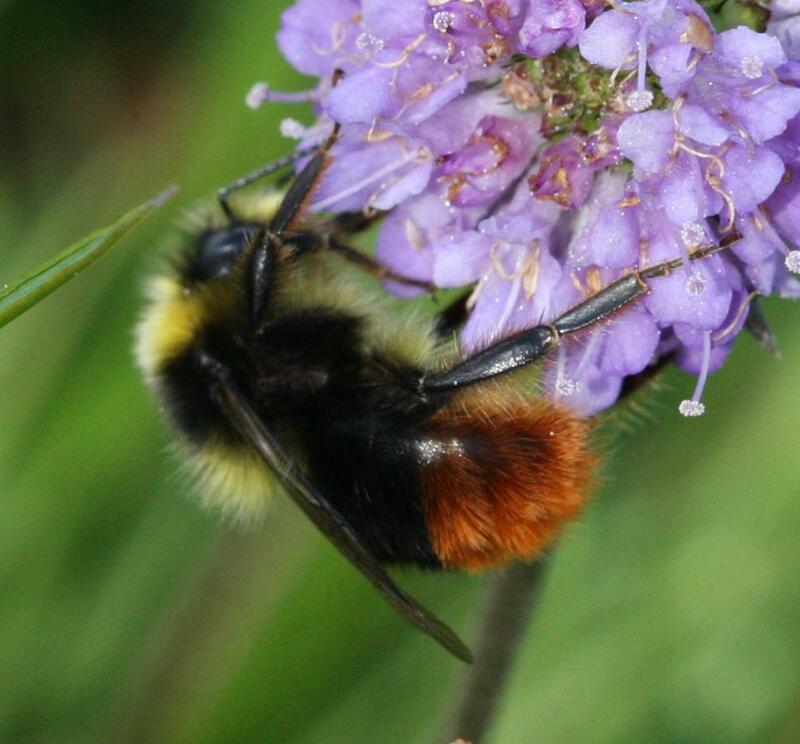 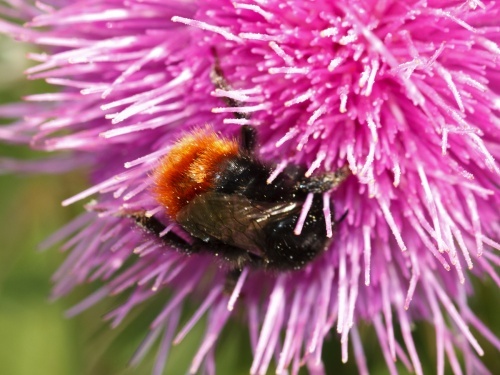 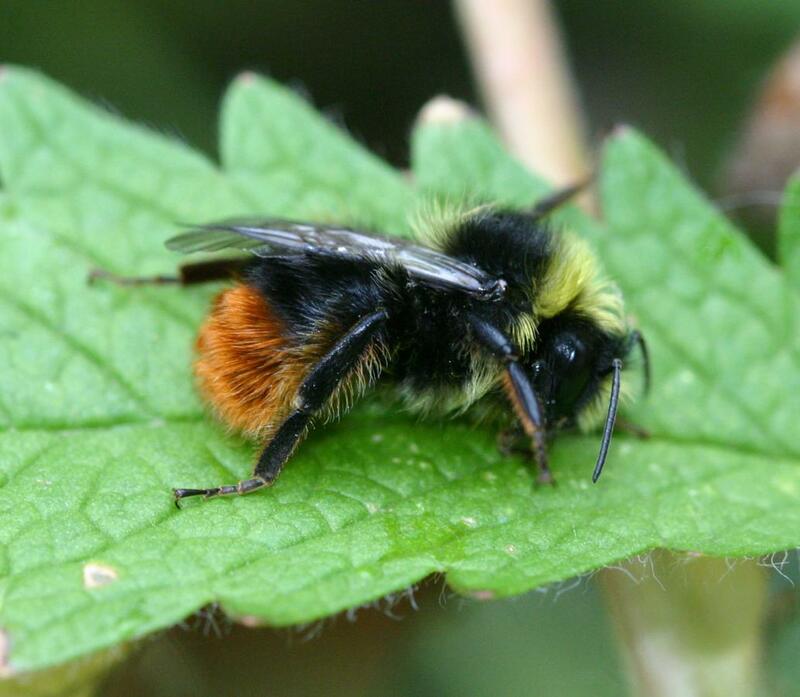 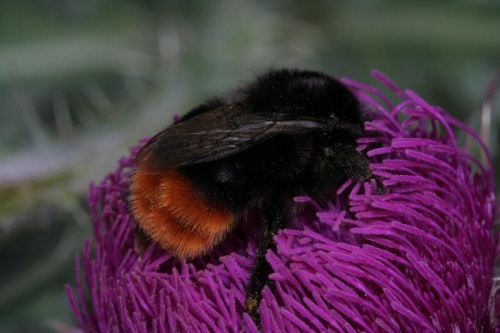 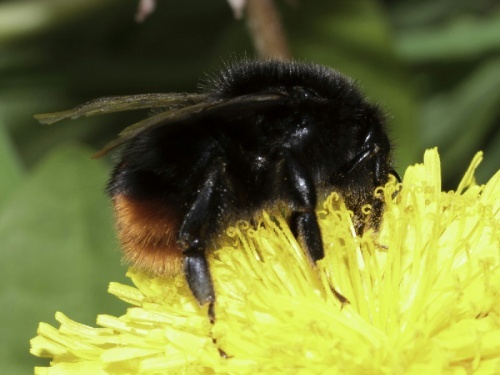 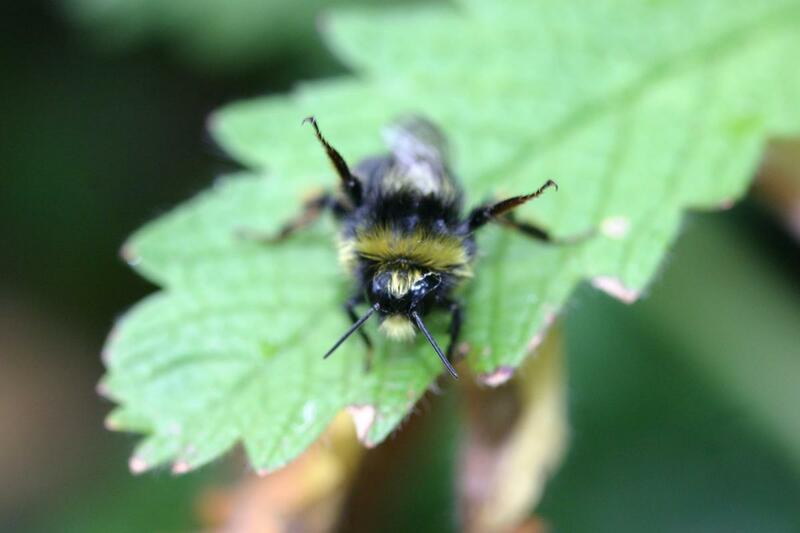 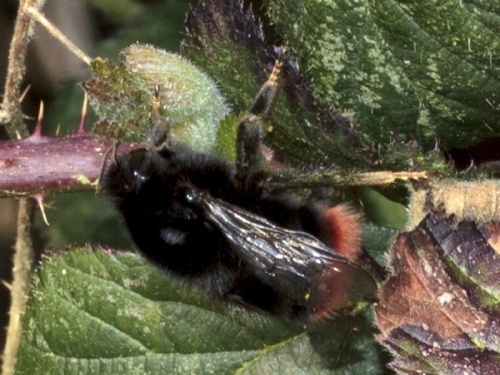 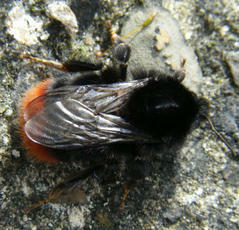 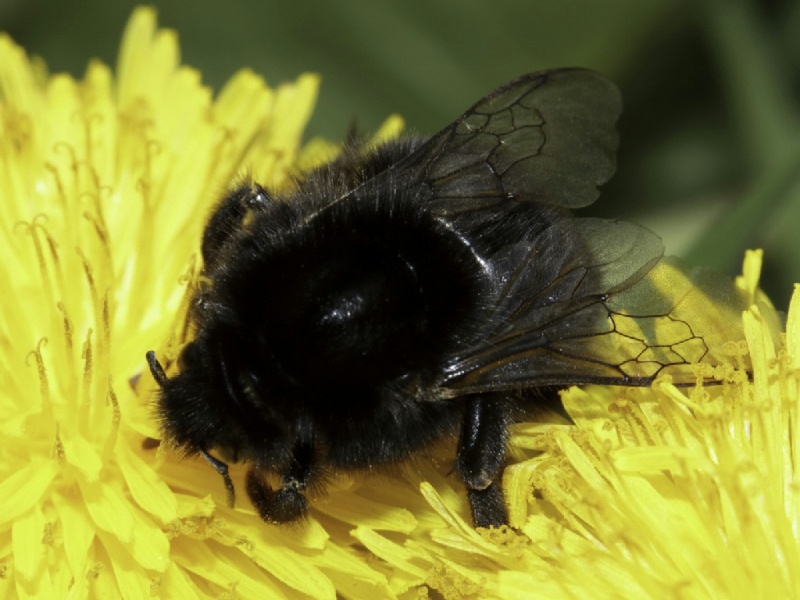 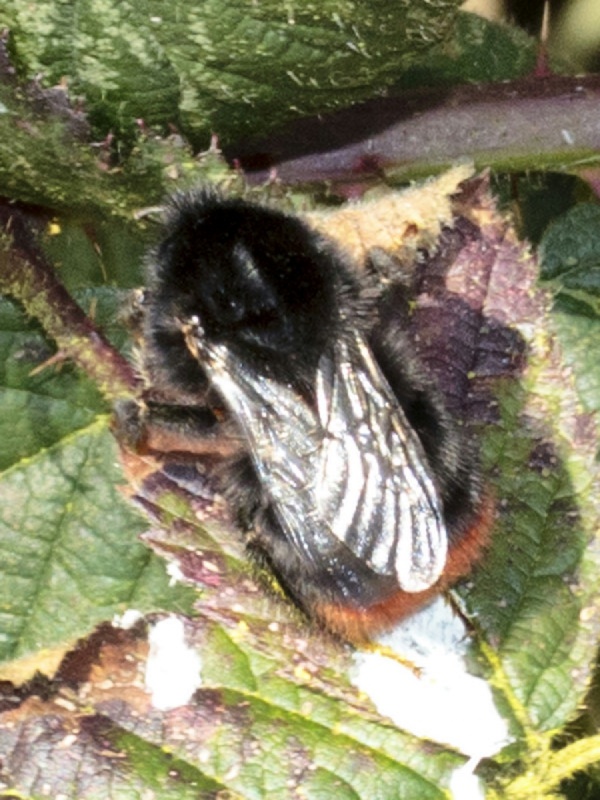 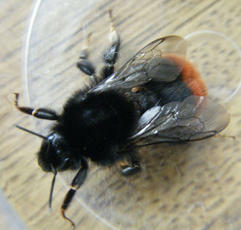 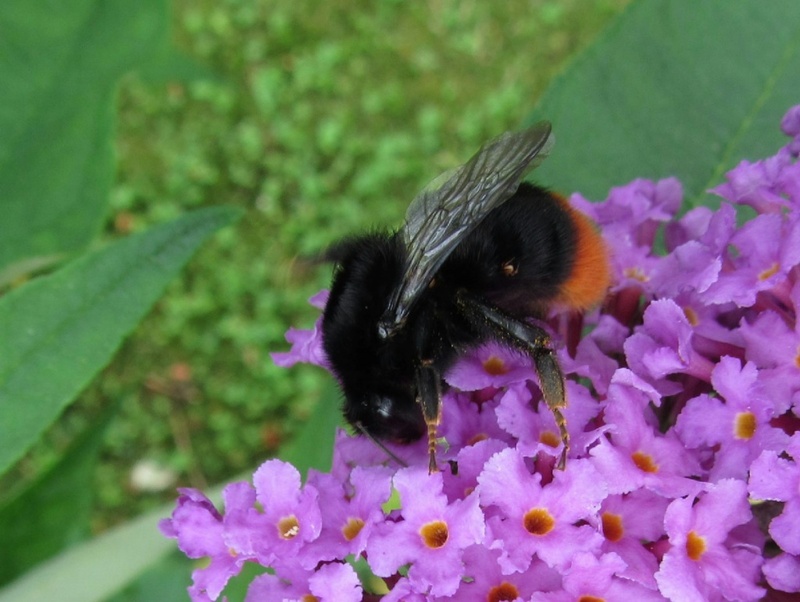 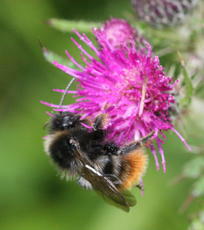 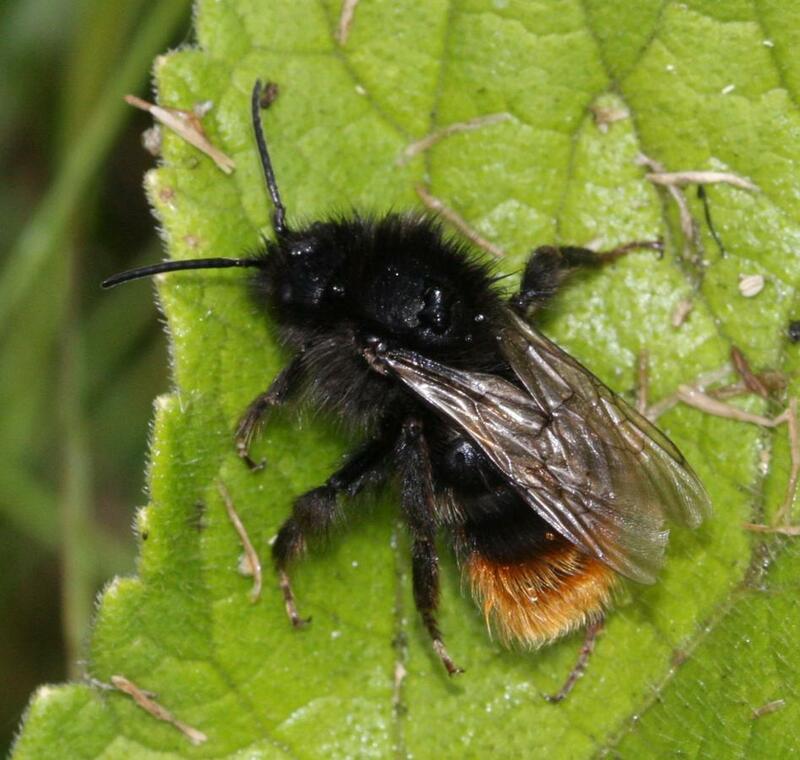 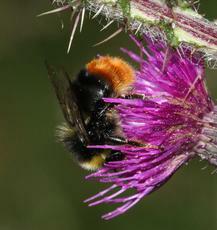 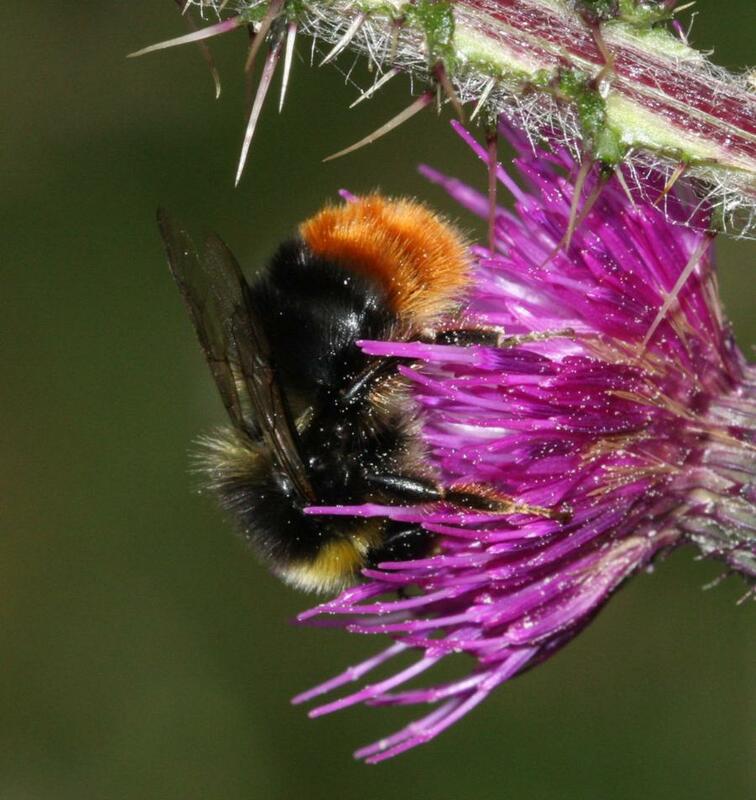 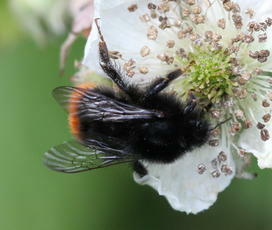 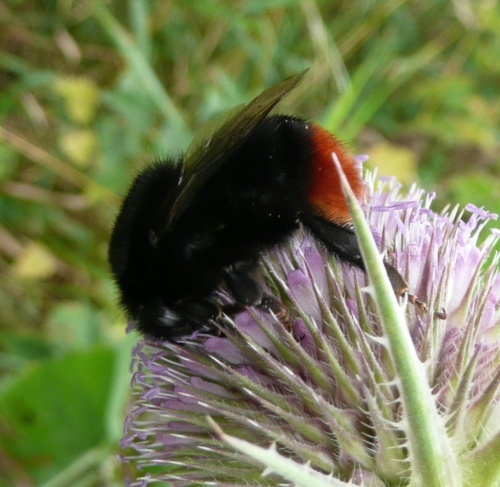 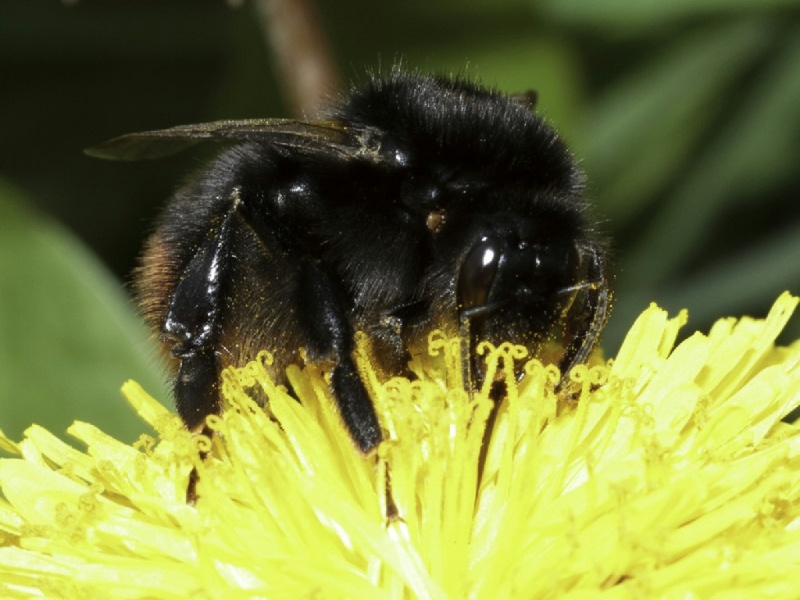 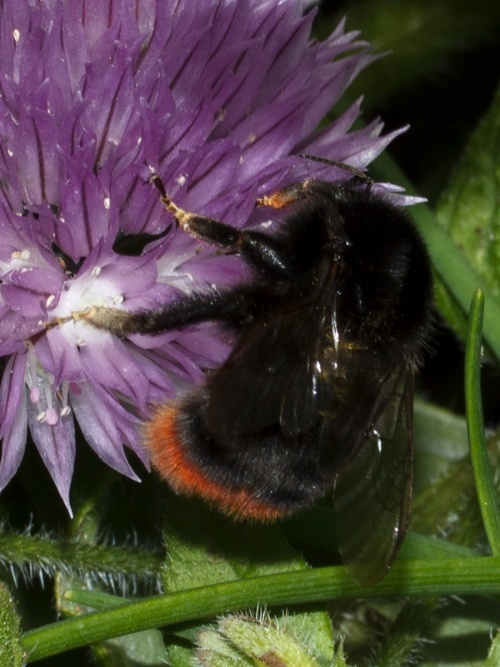 Bombus lapidarius is probably the most easily recognised bumblebee species, with its black body and bright orange tail. The workers have the same colouring as the queen but are much smaller. The males also have similar colouring but with more yellow hair. 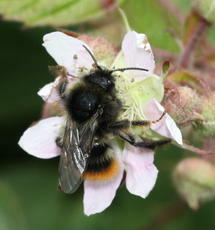 Commonly seen in gardens and hedgerows. These bees prefer to nest underground and the base of a dry stone wall is a popular location but it will nest under other stones and slabs. 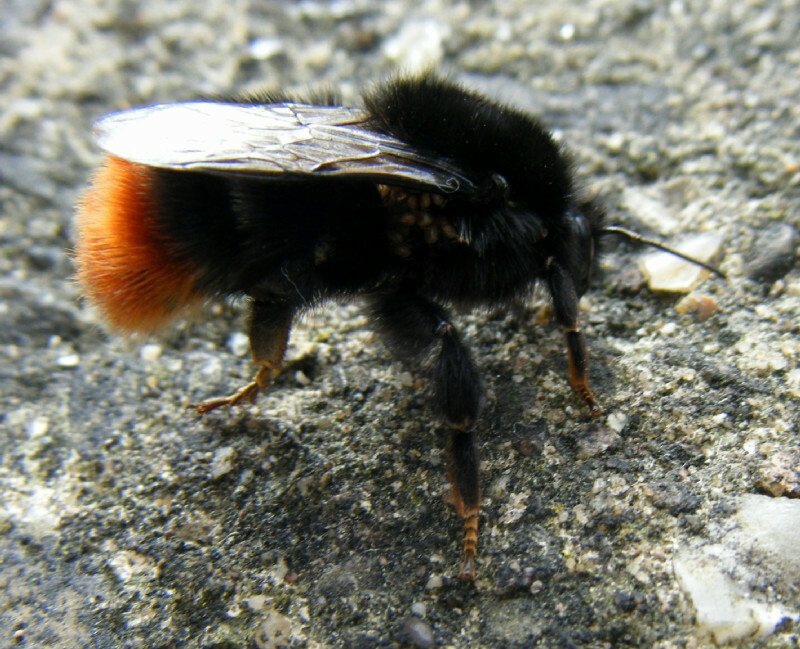 The size of the nest can vary considerably from over 200 bees to less than 100. Fairly common in Britain and have expanded northwards to include Scotland.